WEIDMANN develops electrical insulation for transformer manufacturers and companies operating transformers. The firm specialises in the development and production of tailor-made solutions for cellulose-based insulation systems. It also offers expertise and products for high-temperature applications, such as locomotive and wind turbine transformers. WEIDMANN’s research and development has always been a key driver for its leading position of board, component and paper manufacturing. Its deep and broad know-how concerning material properties, application needs, processing methods and failure analysis allows the firm to develop best-fit WEIDMANN solutions for enhanced transformer performance and reduced total cost of ownership. Outside of the electrical industry, WEIDMANN’s paper manufacturing expertise has been widely used to develop innovative solutions for different industries, ranging from packaging to textile and paper conversion. WEIDMANN delivers the best-fit insulation solutions, ranging from board and paper to customised components. Customers can choose between cellulose-based solutions or products for high-temperature applications. Ready-to-use WEIDMANN transformer kits and packages will reduce users’ manufacturing cycle times and operating costs significantly. WEIDMANN has a global customer base, including firms from the power and distribution transformer sectors, as well as utilities, bushing and cable manufacturers, and motor and generator industry. The company offers in-depth technical support and design assistance, as well as sophisticated engineering solutions to enhance transformer performance. 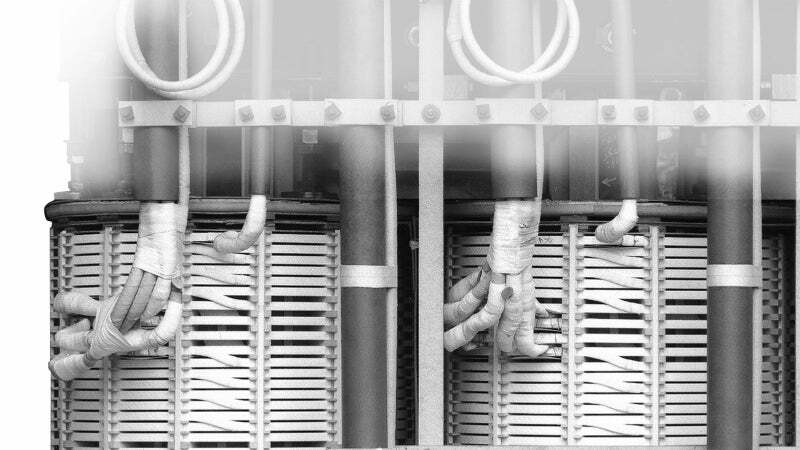 WEIDMANN is particularly renowned for its expertise on the transformer ageing processes. Completing the company’s product line is a range of transformer accessories and equipment, including online monitoring systems and transformer production machinery. WEIDMANN help its customers solve engineering problems and enhance the performance of transformers. The company’s technology services support the electrical industry with insulation engineering, electromagnetic-thermal studies and design reviews. WEIDMANN has extensive capabilities in finite element modeling (FEM), enabling its engineers to accurately simulate windings, insulation systems and complete transformers, as well as other electric power apparatus. A wide range of laboratory services are offered by WEIDMANN, including mechanical, chemical, optical and electrical tests, as well as various ageing tests simulating the environmental conditions of materials and components used in electrical power apparatus. WEIDMANN laboratories perform tests with the following targets: acceptance inspection of raw material, process control, product development tests and failure analysis. Using its state-of-the-art testing equipment, tests can be performed in accordance with the current standards for insulation materials, plastics or according to customers specification. WEIDMANN monitoring systems provide continuous real-time information to support strategic decisions. Users can avoid time or cycle-based maintenance, as well as use scarce resources to perform maintenance on the units that actually need it. WEIDMANN creates top-quality, international standard products. It only selects first-class cellulose from slow-growing trees, ensuring long-term dimensional stability and minimal thermal ageing. Random tests for finding metal contamination are not sufficient to meet WEIDMANN’s high-quality standards. Consequently, every square inch of transformerboard sheets is checked by its own metal particle detection system installed directly in the production line. Modern X-ray tests are used for WEIDMANN components to verify homogeneity and to inspect internal structures and dimensions at any time during manufacture and test. The quality management systems of the company emphasise customer satisfaction and continuous improvement. Through a highly systematic and statistical approach, the firm ensures that it meets current and future standards. WEIDMANN Electrical Technology, a division of the WICOR Group has entered into an agreement with FISO Technologies (FISO) whereby FISO will supply a fiber optic monitoring system designed specifically for WEIDMANN. WEIDMANN is a leading supplier of diagnostic laboratory services, strategic locations, prompt service, efficient operations, web-based reporting and data management services. WEIDMANN delivers the best-fit insulation solutions, ranging from board and paper to customised components, regardless of the degree of complexity your applications require. The InsuLogix®H Hydrogen Monitor incorporates chip-based patented technology. An advanced transformer control and monitoring platform. The WEIDMANN Certified SmartSpacer® represents the synergy between the most advanced and proven technology for direct-reading winding temperature measurement and WEIDMANN know-how in the transformer insulation area.